We know a lot about Carbon dioxide in a jar. We know the wavelengths it prefers to absorb and emit photons. We know it tends to mix efficiently with other gasses. We know it has a nearly magical affinity for cold water. We have known these things for a long time. 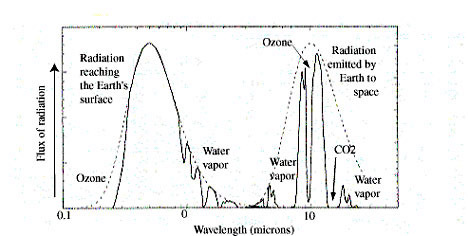 What we still do not know is exactly how this gas representing 1/2500 of the atmosphere by volume (1/2000 by mass) acts in the earth’s biogeochemical/atmospheric/oceanic system. A decade and a half ago when the satellites told us the atmosphere was warming quickly and human Carbon emissions were increasing at about the same slope, it was reasonable to worry. I worried. 1. 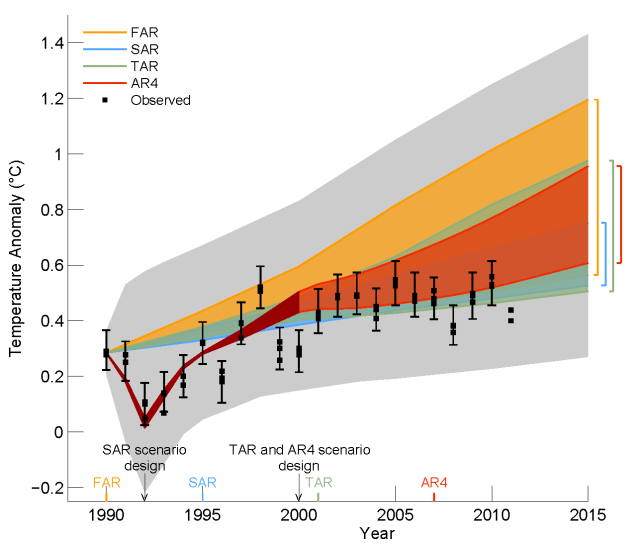 All four satellite groups agree that there has been little, if any warming of the lower atmosphere in the last sixteen years, in spite of accelerating human CO2 production. 2. 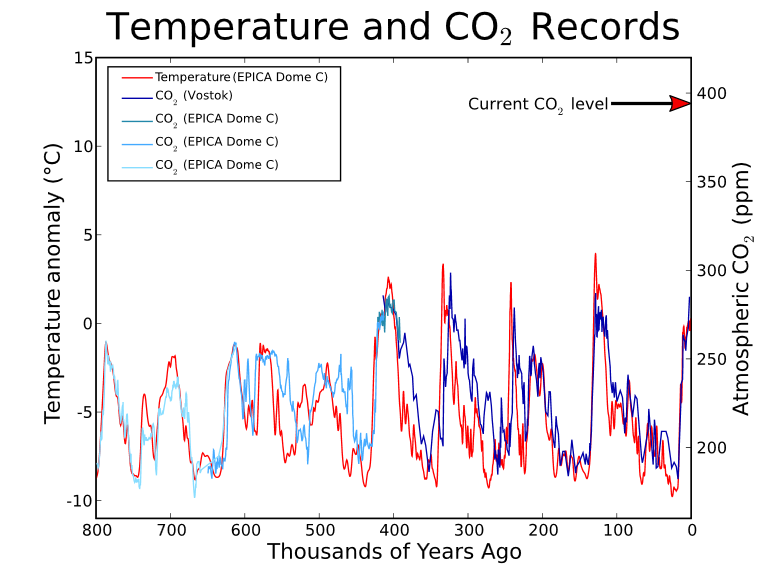 Bubbles in ice cores have shown very clearly that atmospheric temperature has led CO2 into and out of every glacial/interglacial cycle at both poles like a poodle on a leash for the last 800,000 years. 3. 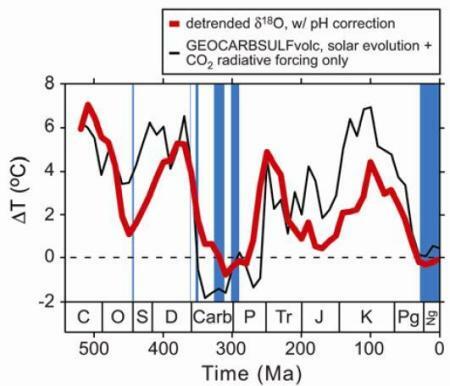 Multiple improved measurement techniques indicate that Carbon dioxide the earth’s atmosphere over the history of life has been ten times higher than it is now, and that glacial periods have occurred nonetheless. 4. It has become standard practice to pump CO2 into commercial greenhouses at five times current atmospheric concentration. 5. It has become clear that the rapid warming of the atmosphere documented by satellites from the late seventies to the late nineties is far from unusual and that two periods since the last glaciation experienced equal rates of warming and higher atmospheric temperatures than today. This entry was posted in Carbon Cycle, Carbon Dioxide Loves to Swim, Climate, Climate Change, Global Warming, Paleoclimate and tagged Atmosphere of Earth, Carbon cycle, Carbon dioxide, Earth Sciences, environment, Glacial period, global warming, Greenhouse gas. Bookmark the permalink.